The Islands of Galapagos are famous for their indigenous ecosystems, with San Cristobal acting as the forefront destination of Darwin’s evolutionary discovery. It hosts a variety of crops that are unique and distinct to anything found in the surrounding regions. This uniqueness is also seen in the coffee. Unlike the rest of South America, the flavours twinned with Galapagos coffees are more savoury and full bodied. It is prohibited to use crop enhancing chemicals and pesticides in Galapagos which produces truly organic coffee with limited environmental impact. San Cristobal is one of the more fertile islands, with a fresh water source ideal for small scale agriculture. After harvest the coffee is naturally sundried. There is a high-quality control protocol which all coffees from Galapagos undergo, ensuring a gourmet, high grade bean. Flavours are rich, with a full bodied feel, finishing on a sweet woody note. 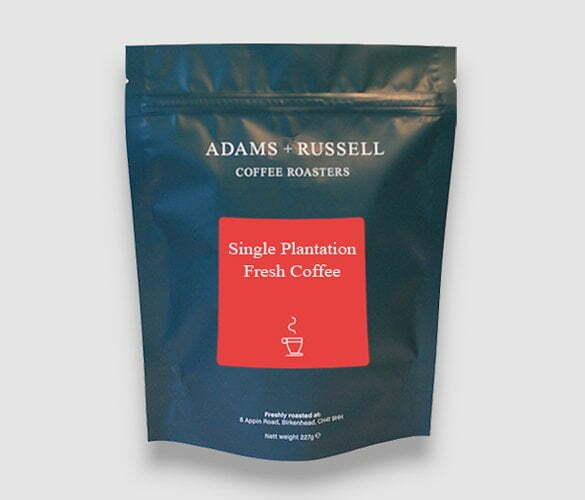 This coffee is a truly rare crop from one of the most interesting and exotic regions of the Pacific. It is one of the most bio-diverse places on Earth. 97% of the islands are a national park and half of the land species are endemic to the Galapagos. The islands are made up of 13 major islands, 6 minor islands and 40 islets in the Pacific Ocean. This is due to the numerous volcanic eruptions, including 13 in the last 100 years. These islands are home to around 25,000 people. Home to ‘Lonesome George’, who was the last remaining Giant Pinta tortoise in the world until he passed away in 2012. He was between 90-100 years old. These islands inspired Charles Darwin’s theory of evolution. Espanola is the oldest island in Galapagos and is estimated to be 3.5 million years old. The youngest is Fernandina and is just 1 million years old. Because of its location on the equator, Galapagos has an equal 12 hours of daylight and 12 hours of night throughout the year. Perfect Daily Grind tells us that the first coffee seed was brought to the islands 135 years ago by French Colonies. They were Bourbon seeds, which remains the main variety grown today. Other varieties have since been introduced by emigrants, including Caturra, Typica, Catuaí, Sachimor and more. The main producing islands are San Cristóbal and Santa Cruz. All coffee is organic and hand-picked, which produces very high-quality beans. Did you know that we roast all of our beans ourselves at the Adams and Russell roasting house? We roast them in small batches at temperatures over 200°C. They are then hand packed in specially designed packaging to ensure maximum freshness. You can read our blog post on the 7 magical steps to roasting to find out more.